The packers and movers came today to get our things for transfer to Botswana. It is official. I do NOT like moving! All right, perhaps I do like moving. But I definitely DO NOT like the preparation for moving. I’ve gotta tell you, having someone else pack my things and “move” them is much more preferable to having to do that myself. And, after today, no more packing boxes. From here on in I will only be packing suitcases. Let me tell you, thinking of packing a suitcase or four is a much more pleasant a thought. The one thing that I was upset about seeing put into a box and carted away? My iMac desktop computer. It is FABulous! We have been together two years. I must have let out an audible sigh thinking about the separation, because the packers (there were three) each stopped what they were doing and looked in my direction. Even my husband, as stoic as he is most times, was overcome with laughter as I lamented how I had never turned the computer over to anyone before. I did not mean to actually say that out loud. It’s true. I have not been separated from my desktop at any one time for more than a week. I did not realize how strong a bond I have with my computer. Sure my family might raise an eyebrow or two at that comment – but they are biased! Of course it is not a bond with the computer per se, but with the world that the computer allows me be a part of…virtually. Have you found that you are attached to something that surprises you? 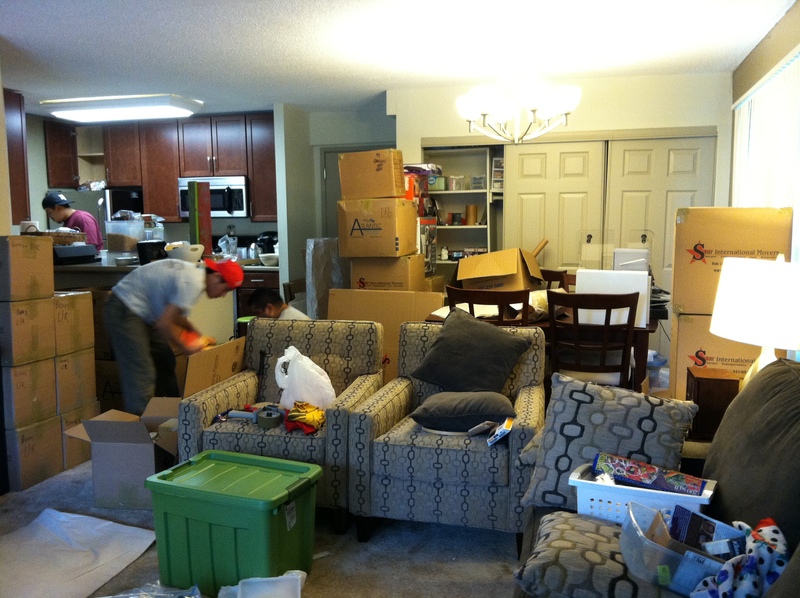 What are your moving woes? I understand. LOVE my Mac as well! MAC is great! Thanks for understanding. I have moved too many times in my life although not as far as you are going. Some have been more of an adventure than others. But each was an adventure that allowed me to meet new people and experience new things. Enjoy the adventure! When do you actually leave?